During a turbulent era in American history, Hippies were protesting the Vietnam war. President Nixon was about to resign. While the tragic events at the 1972 Munich Olympics were unfolding on new color TV sets, the oil crisis had officially killed off American muscle cars. Through it all, the Honda Civic was born as the much needed compact car that can operate on both leaded and unleaded fuel. With the oil shortage and the EPA emission standards, the Civic became an instant hit in America. For 45 years, the Civic has been one of the most popular, affordable, and reliable cars in the United States. 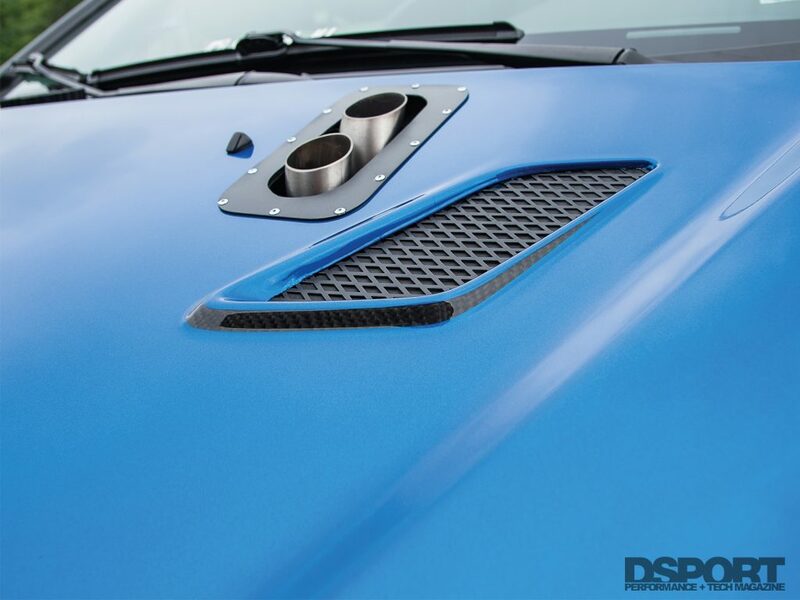 Efficiency wasn’t its only strong point, however, performance has always been part of the equation as an aftermarket option. In 2002 Honda re-introduced the hatchback design with their EP3 Honda Civic. The EP3 Civic Si (Sport Injection) came equipped with a 2.0-liter K20A3 DOHC inline-four engine. It delivered 160 horsepower and 134 lb-ft of torque with the help of a five-speed manual transmission. The engine featured the VTEC technology. Designed to improve volumetric efficiency, it uses two camshaft profiles and hydraulically selects between the profiles. Right out of college, Brian Howley bought his very first car: an EP3 2005 Honda Civic Si. Brian wasn’t a fan of the EP3 platform. The design was too big for him, the K-series was too new and cramped in the engine compartment, and the USDM bumpers were completely distasteful to him. However, Howley has been known to enjoy challenges. From day one, he knew he wanted to take an unpopular platform and modify it into something unique. 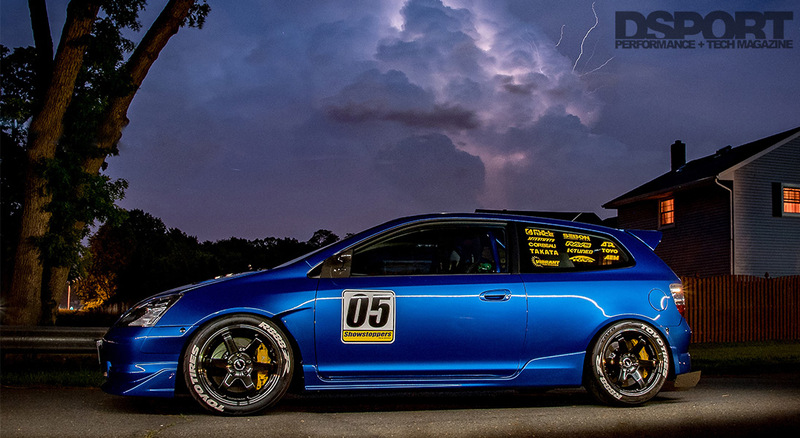 “To get a compliment on an EP3 build brings total joy to me and the challenge I set forth for myself,” said Howley. Brian never intended on pursuing much higher power than the factory numbers, but after getting a taste of a 270whp car, he decided he wants to put this number to shame and reach for maximum power. 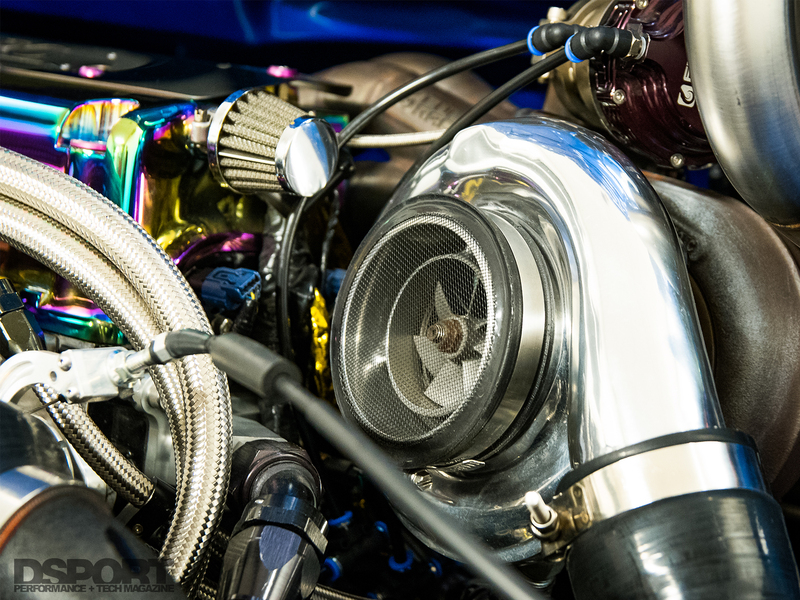 With the S300SX3 turbocharger in place, the Civic EP3 delivers 520whp and 385 lb-ft of torque when running on 92 octane fuel at 18 psi of boost. The plan was to build a powerful car with looks to match. 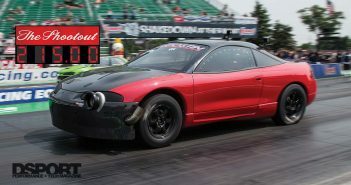 Brian decided to part ways with the stock K20 engine that he felt was a weak point in the drivetrain and put a K24A2 out of an Acura TSX in its place. Before the engine made its way in its new home, new rods, pistons, camshafts, valves, springs, and retainers were installed in it. 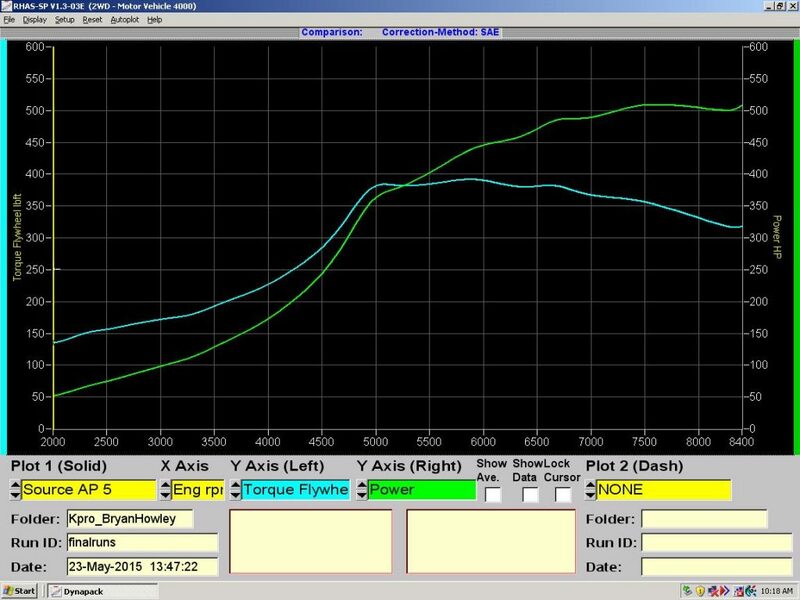 With the extra air from the S300SX3 turbocharger, the EP3 delivers 520 horsepower to the wheels and 385 lb-ft of torque. The engine runs at 18 psi of boost on 92 octane fuel. To support the power increase, Brian installed a custom-built, one-piece, blue half cage. 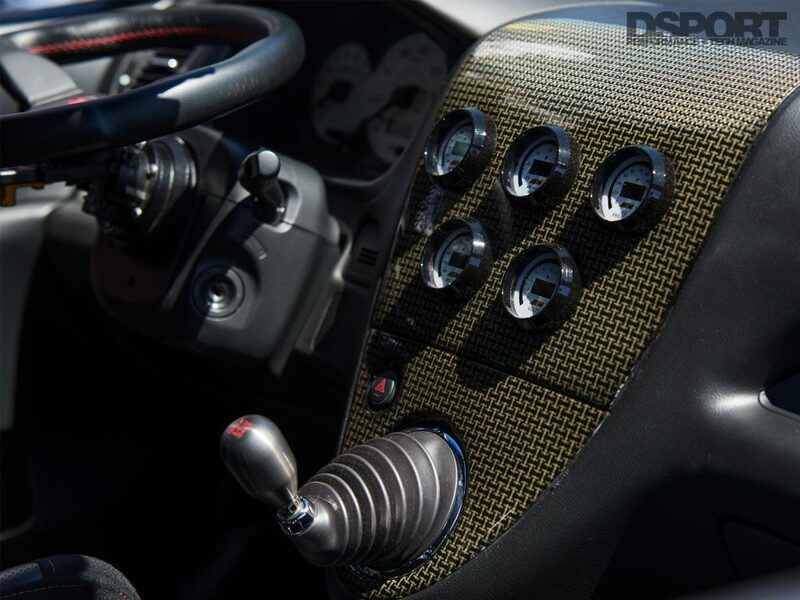 The center dash was upgraded with a custom carbon Kevlar dash, which houses the AEM gauges that display boost, oil pressure, water temperature, and air/fuel ratio. With 520 horsepower to the wheels, Howley needed to start focusing on the engine’s supporting components. 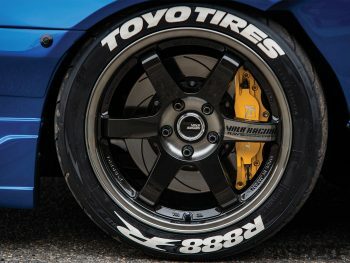 He stiffened up the chassis to minimize body roll with a rear sway bar, c-pillar bar, tie bar, and control arms, as well as lowered the car by two-inches. Although the stock transmission remained in place, he replaced the clutch with a six-puck clutch. 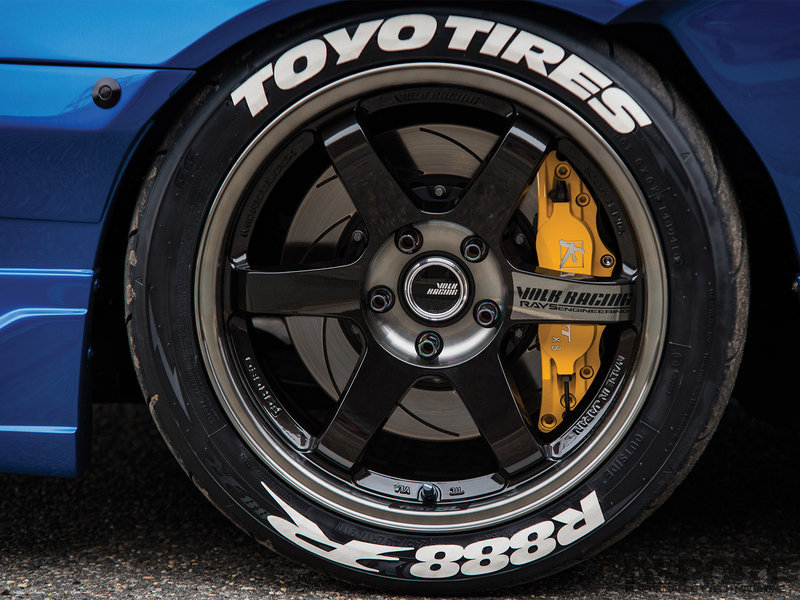 To maximize traction, Brian equipped the RAYS wheels on his Civic with Toyo R888R tires. Finally, he upgraded the entire brake system with bigger rotors, calipers, performance pads, and stainless steel braided lines. The car was finally ready to be pushed to its full potential, but before doing so, the exterior needed some creativity. With the engine all set up, Brian turned his attention to the exterior. Making the body unique wasn’t an easy task for Brian. Modifying the exterior of the EP3 isn’t quite as popular as some of the other Civic platforms. He decided to part ways with the bumpers that were an eye-sore to him. In their place, he put Type R bumpers complemented with a Walker Japan front lip and a Type R Spec rear diffuser. After modifying the body with molded front-over fenders and flared rear quarter panels, he painted the body in a vivid blue pearl color. Finally, the car started looking as good as it performed. Although the journey for Brian Howley has been a long one, it had more ups than downs. The countless hours spent in the garage working on the car were all worth it, because they were spent with his wife and two children, Dominic and Connor. On the other hand, the project did present some normal obstacles. “A little hit and run accident right after completing the rear Type R conversion was about the worst of it, but fortunately it was just some minor paint damage which was easily repaired,” Howley explained. Brian fixed the car and moved on to win numerous awards at various car shows, a goal he had set from the start. After 13 years, Brian has built a connection with his Civic Si through time, money, blood, sweat, and tears. He has managed to take a small engine compartment, and make it look clean with a fully tucked wiring and nothing but the best parts. The car is exactly where Brian would like it to be at the moment, but in the future, he intends on upgrading the suspension so he can start tracking the car. The EP3 means more to Howley than just a hobby car. This car has gotten him into the automotive industry, which led him to open up his own business called Showstoppers New Jersey. “The memories that have been made and that will be made in the future are unmeasurable,” he concluded.